The second in the series and first to get finished (and maybe my favorite of the 4) is Ray and Ray. 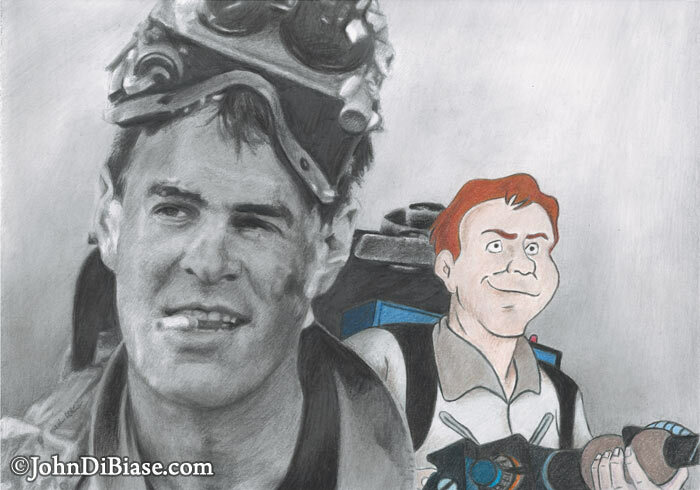 I took a screenshot from Ghostbusters to get this portrait of Dan and used it as a source for the pencil drawing. Ray is fully in colored pencil.